Measure the value of content marketing. It will help you leapfrog competitors! Content marketing can achieve many different marketing goals. To measure the value of content marketing, spell out your goals in writing, in advance. In other words, write down your content marketing mission and content marketing strategy. 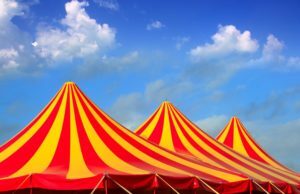 Build a big tent to co-create your mission and strategy, then measure the value of content marketing versus your strategy. Even better, involve internal stakeholders in co-creating your mission and strategy. 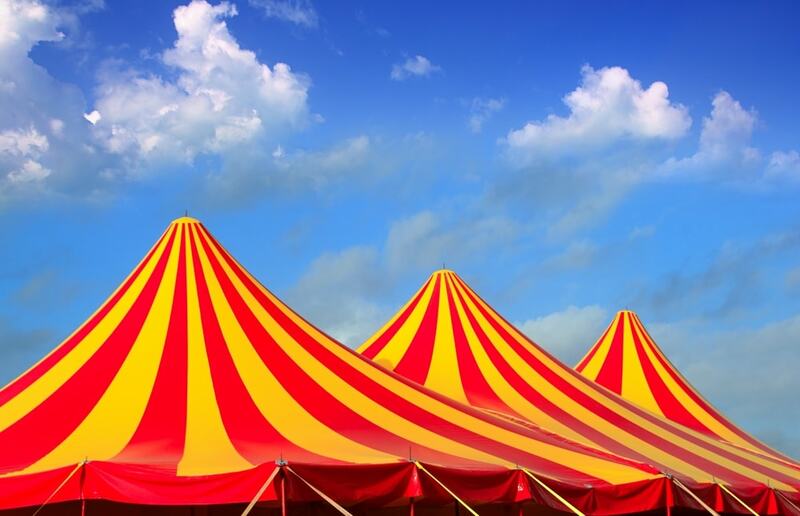 Build a big tent to attain buy-in from the get-go. If you haven’t written down your content marketing mission yet, here’s how. 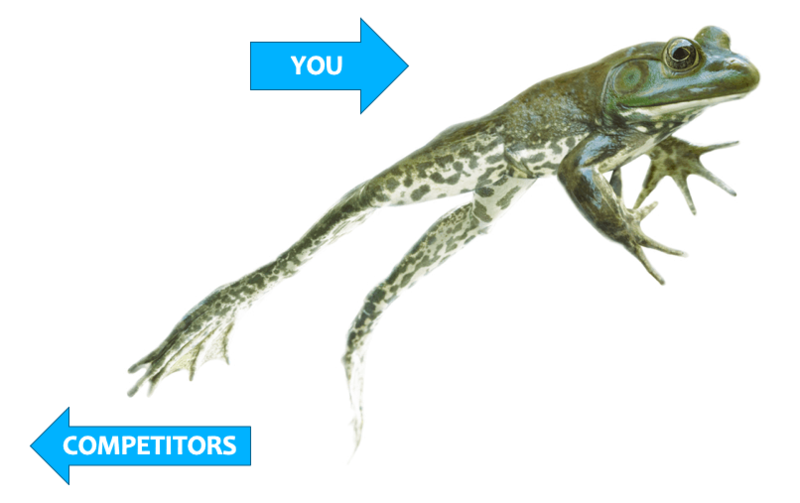 Write down your content marketing mission to leapfrog ahead of the 4 out of 5 marketers who have not written down their content missions. If you haven’t written down your content marketing strategy yet, here’s how. A written strategy vaults you ahead of 2 out of 3 marketers who have not written down their content marketing strategies. 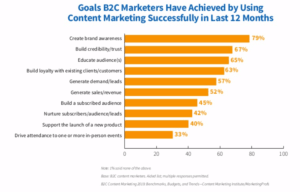 To measure the value of content marketing, study the goals that other marketers already achieve with content marketing. The Content Marketing Institute (CMI) and Marketing Profs do annual studies to show what business to consumer (B2C) and business to business (B2B) marketers achieve with content marketing. 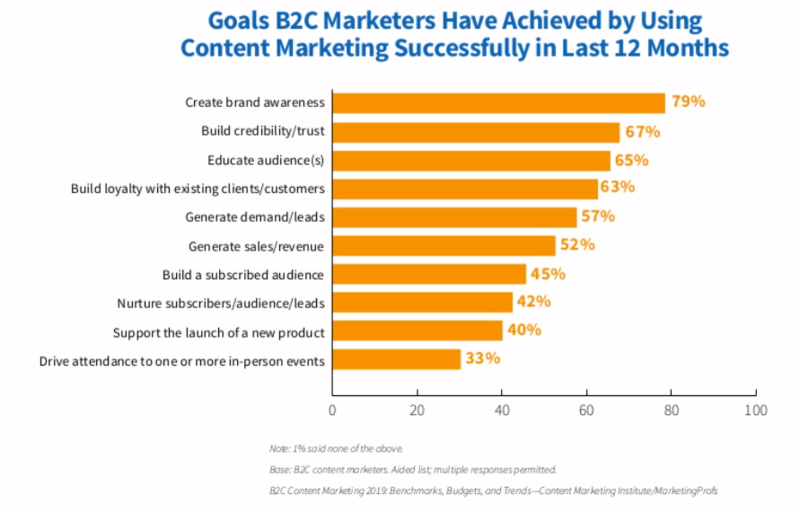 The top 3 content marketing goals of B2C and B2B marketers overlap: to create brand awareness, build credibility and trust and educate audiences. In other words, use content marketing to teach before you sell — building awareness and credibility. 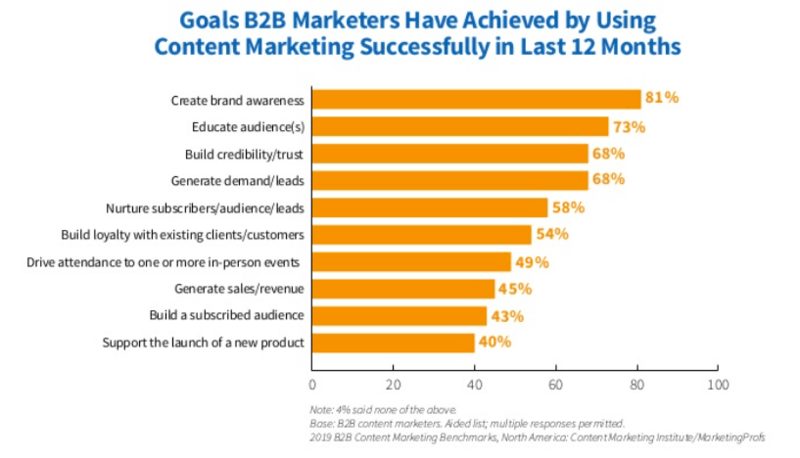 B2C marketers report successfully achieving 10 different goals with content, in the 2019 study. #1: Create brand awareness, which 4 out of 5 marketers cite (79%). #2: Build credibility and trust, which 2 out of 3 marketers cite (67%). #3: Educate audiences, which 2 out of 3 marketers cite (65%). #4: Build loyalty with existing clients and customers, which 2 out of 3 marketers cite (63%). #5: Generate demand and leads, cited by more than half of marketers (57%). #6: Generate sales and revenues, cited by more than half of marketers (52%). Drive attendance to in-person events (33%). Consider the 10 goals consumer marketers achieve with content marketing. #1: Create brand awareness, which 4 out of 5 marketers cite (81%). #2: Educate audiences, which 3 out of 4 marketers cite (73%). #3: Build credibility and trust, which 2 out of 3 marketers cite (68%). #4: Generate demand and leads, which 2 out of 3 marketers cite (68%). #5: Nurture subscribers, audiences and leads, which more than half of marketers cite (58%). #6: Build loyalty with existing clients and customers, cited by more than half of marketers (54%). Launch a new product (40%). 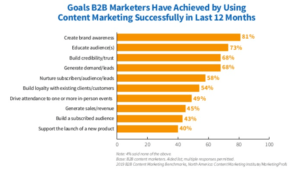 Consider the top 10 goals B2B marketers achieve with content marketing. Compared with business marketers, consumer marketers place more emphasis on building loyalty, and on generating demand, leads, sales and revenue. How to measure the value of content marketing? How to measure content marketing success? Many approaches can help you; see the blogs below. 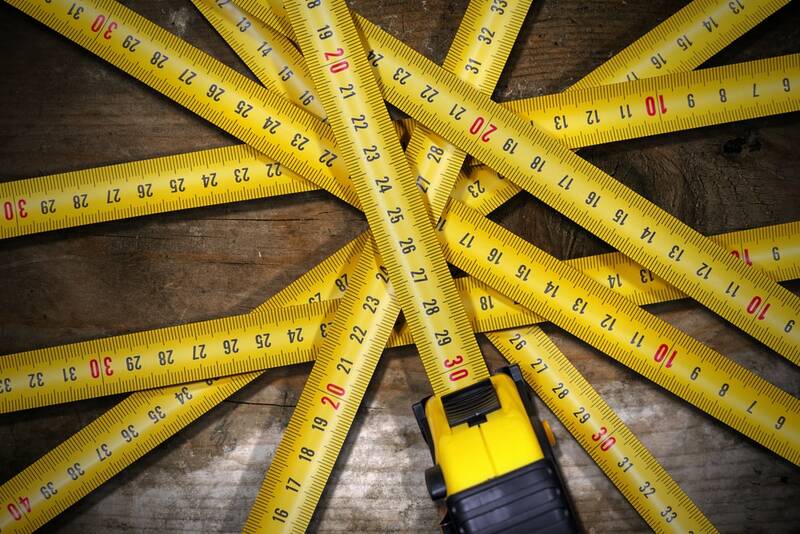 Blog: How to measure content marketing success? Blog: How important is tracking content marketing analytics to success? Blog: How to measure good content? 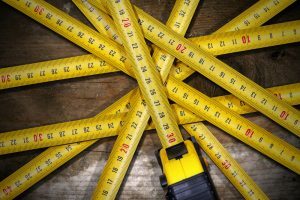 Blog: How do you measure effective copy? “How can you measure the value of content marketing in helping achieve your marketing goals?” is one of marketers’ Top 100 Questions about #contentmarketing. Here are the answers.